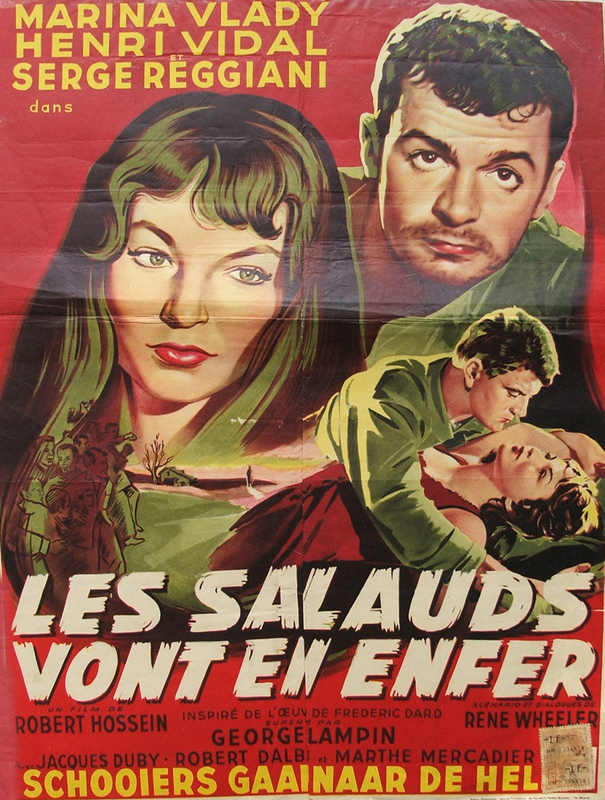 The Film Les Salauds vont en enfer (1956) was damned by critics (Truffaut called it a pitiful caricature of Jean Genet’s play Haute Surveillance). This did not prevent the movie’s commercial success, nor hinder its international career. The Posters reproduced here testify of this fortune. They reveal as well how the movie was reinterpreted in the process. Its main elements are reordered. 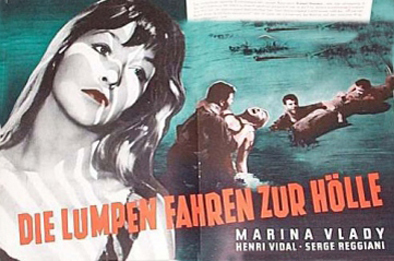 On the posters, the original Psychological Thriller about two men’s identity is removed in the background. The Jailbreak drama is not shown. 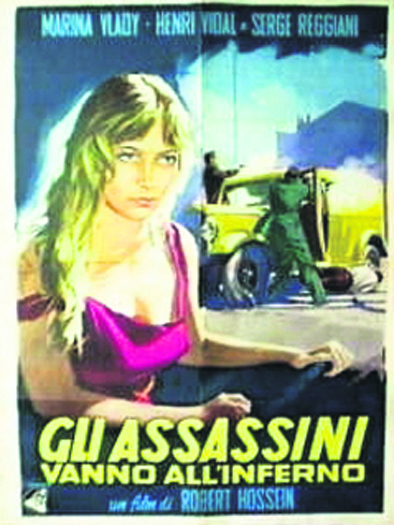 The Men’s movie (Les Salauds) has become a Marina Vlady Movie. The fact that her performance visibly inspired Brigitte Bardot’s in Vadim’s And God Created Woman, shot in Saint Tropez only a few month later certainly did not hurt. 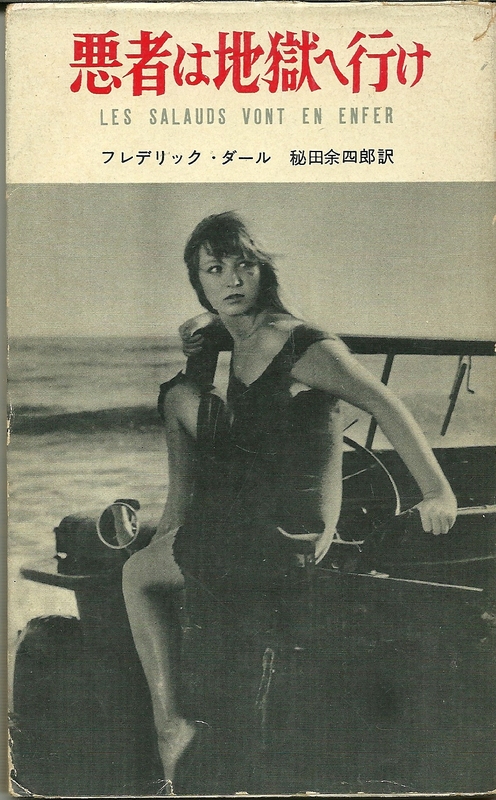 Vadim’s movie would launch Bardot’s myth, and reach worldwide audiences. Ironically thus, the legacy of Les Salauds vont en enfer appears not o have been in the noir genre, but in the representation of sexual desire in mainstream cinema.